This Policy aims to give you information on how Henley Heating collects and processes personal data from you either through your use of our website located at http://www.henleyheating.co.uk/ (”the Website”) or otherwise by any other way you may interact with us including but not limited to email and/or telephone correspondence, social media interactions, questionnaire responses and/or attendance at one of our events. For the purposes of data protection laws, Henley Heating, a company registered in the United Kingdom with registration number 01256353 whose registered address is at Henson House, Newtown Road, Henley-on-Thames, Oxfordshire, RG9 1HG is the data controller and responsible for the Website. We collect personal data about you when you create an account with us, place an order for a product or service, fill in a contact us form on our Website, opt-in to receive marketing communications or interact with us in any other way, including but not limited to email and telephone correspondence, social media interactions attending events and/or completing questionnaires. By registering, using our products or services or otherwise providing your personal data to us, you consent to the use of your personal data in line with this Policy. 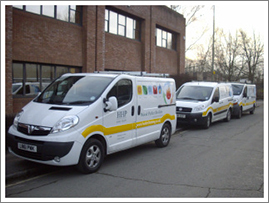 We also operate CCTV outside our premises and may capture your image if you visit our premises. We may collect, use, store and transfer different kinds of personal data about you which may include your name, email address, date of birth, gender, telephone numbers, billing address, delivery address, bank account and payment card details, IP address, the type of browser you use, your login data and any other technology on the devices you use to access the Website, preferences, questionnaire responses and your communication preferences. When necessary to meet our legal obligations, to deal with any complaints and for the enforcement of our terms and conditions. We may use your personal data in the provision and administration of goods and services that you have requested and/or to respond to your queries. Where you don’t provide us with certain information we may be unable to process your request or respond to your queries. We will only retain your personal data for as long as necessary to fulfil the purposes for which we collected it, including for the purposes of satisfying any legal, accounting, or reporting requirements. Where processing is based on your consent, we shall only process your personal data until such time as you withdraw your consent. We will not sell your personal data and generally do not give your personal data to third parties but there are some exceptions. In order to provide any services requested by you which may involve us sharing your personal data with our authorised partners/sub-processors. We have put in place appropriate security measures to prevent your personal data from being accidentally lost, used or accessed in an unauthorised way, altered or disclosed. In addition, we limit access to your personal data to those employees, agents, contractors and other third parties who have a business need to know and access the same. They will only process your personal data on our instructions and they are subject to a duty of confidentiality. To lodge a complaint with a supervisory authority in the country/state where you live, work or where the alleged infringement of data protection law occurred. In the UK, this is the Information Commissioner’s Office. We would, however, appreciate the chance to deal with your concerns before you approach the supervisory authority so please contact us in the first instance.